The follow up to the Nexus 7 has been a hot topic in the blogosphere of late, and now, we may well have the prices of each different configuration of the forthcoming device. Through a leaked inventory screenshot, which could easily have been faked, show a 16GB model priced at $229 along with a 32GB version, which hits the mark at $269. As we’ve come to expect from the entire Nexus range, the prices are more than competitive, and with an impressive list of rumored specs to match, there’s much to look forward to with the next-gen Nexus 7, or the Nexus 7 2 as we like to call it. As with the prior model, the refreshed Nexus 7 is being made by ASUS, and if recent reports are taken into consideration, the slate will run off a quad-core Snapdragon 600 processor. Since one of the major shortcomings with the original Nexus 7 was its lack of a rear-facing camera, its successor appears to repent with a 5-megapixel offering allied to what will probably be a full HD display. 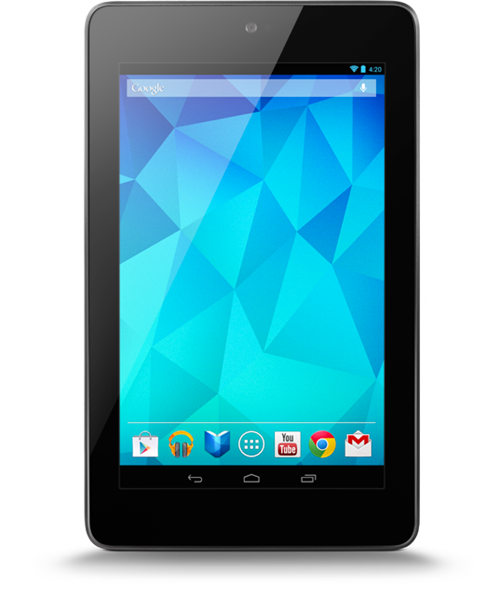 The Nexus brand of Google has always delivered a high standard of Android fare on a relatively economically priced budget, and with the Nexus 7 having drawn so much attention for that very reason, the newer model is likely to generate just as much buzz. There’s no word on exactly when the device will manifest, but if inventory listings are now showing up and this isn’t a hoax, I wouldn’t have thought we’ll be waiting too long from now. Notably, the leaked listing shows a big fat zero under the ‘on hand’ column, suggesting that whichever retailer the computer belongs to has yet to see any deliveries of the mysterious device. 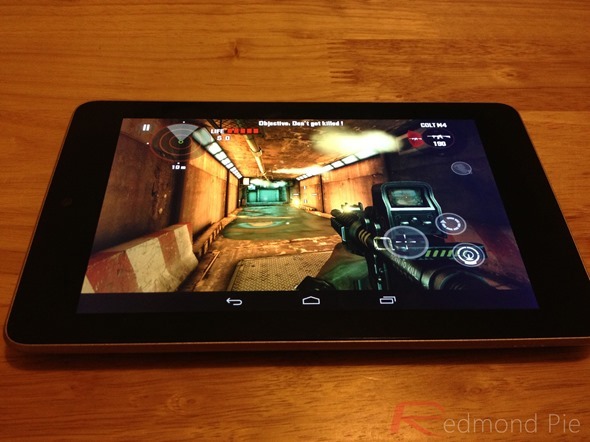 Aside from solid hardware, the new Nexus 7, which some have dubbed the ‘Nexus 7 2,’ may run on Android 4.3, with many believing it will be the first device to ship with the updated firmware right out of the box. Whether this is to be the case remains a mystery, but given how the Nexus 7 was the first smartphone or tablet with stock Android Jelly Bean 4.1 off the bat, it would make sense for Google to follow a similar release pattern this time around. We’ll be keeping our eyes open for any more news on the refreshed Nexus 7, and we’re certain we’ll hear more about it in Google’s Android event on July 24th, so stay tuned!